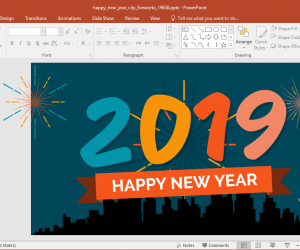 As the New Year nears in the wake of December, there are a number of templates being released by third-party PowerPoint template providers to help presenters spice up their slides. 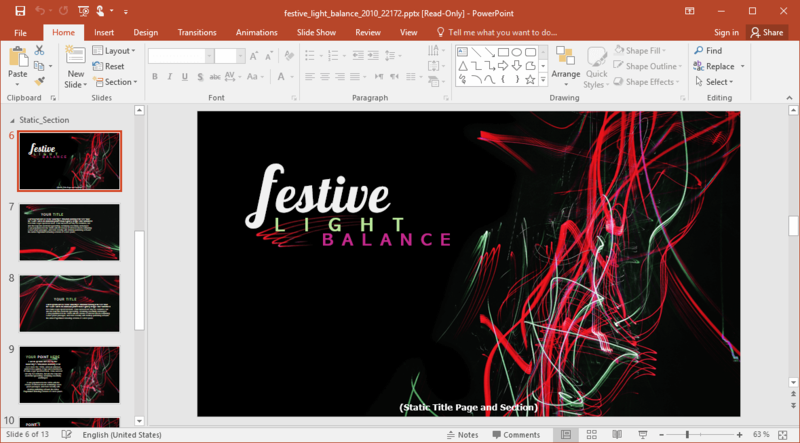 The Animated Festive Lights New Year PowerPoint Template is a unique slide deck with shimmering lights amidst a nightly background. 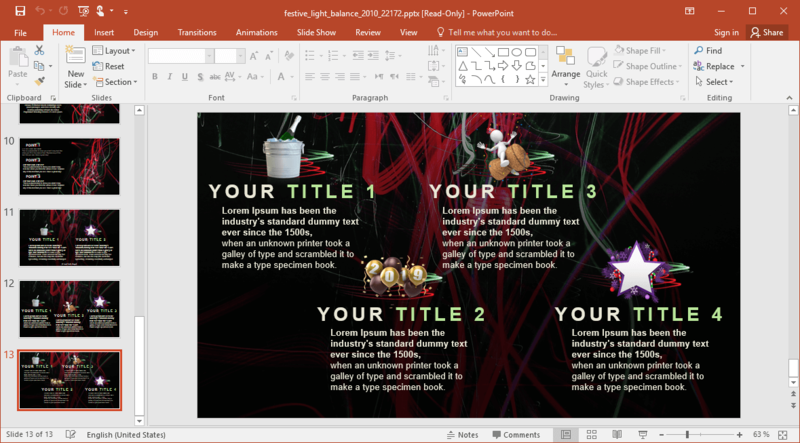 The template is divided into animated and static slides. 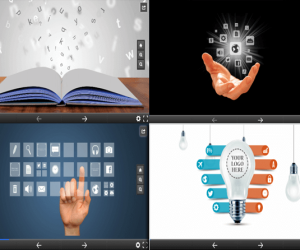 The first five slides come with animations, followed by a few static slides. You can use both or the ones you prefer to create a slide deck that is most suited to your needs. Despite being a template with animated slides, the overall design of the template is quite minimalist. The basic background design depicts an image of festive lights, with illustrations, clipart and space for adding your text. You can also add charts, tables and other types of relevant information to the given slides. 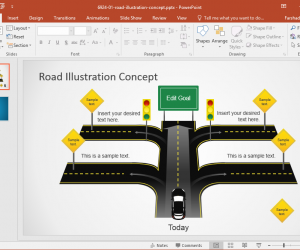 With the help of the sample slides you can also create comparisons and even generate your very own infographics. 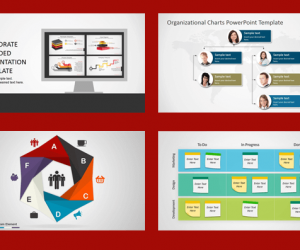 Additionally, you can add your own icons, images and clipart to spruce up your slides. 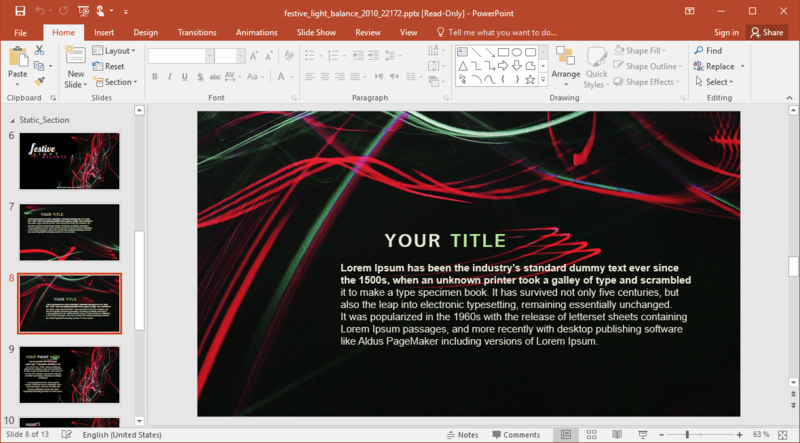 You can also create lists or slides which reveal information in the form of separate paragraphs within a single slide to make maximum use of available space. The template gives ample scope for customization. 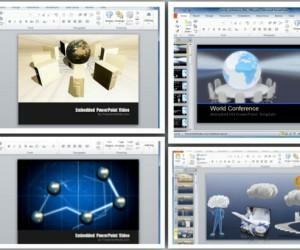 The slides can be edited by replacing, removing or adding elements as per need. The slides come with editable objects for ease of customization. 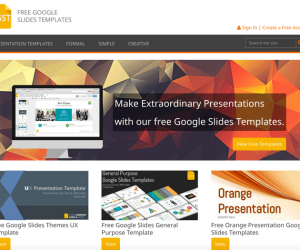 This premium presentation template by Presenter Media can be downloaded from the product page given via the link below. The preview for static and animated slides is also available on the product page. 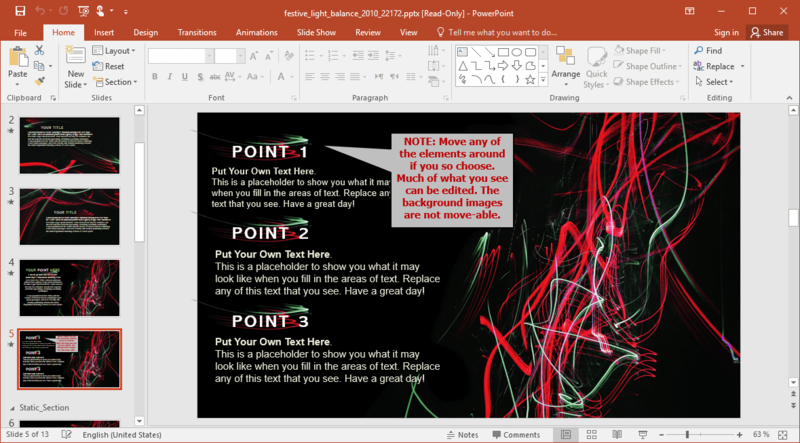 The developer has provided separate files for PowerPoint versions for PC and MAC.